“I have no need of that hypothesis.” So, according to legend, said the great astronomer and mathematician Piere-Simon, marquis de Laplace, when asked by Napoleon why he had not mentioned God in his book. If so, Laplace was not referring to the hypothesis that God exists, but to the much more interesting hypothesis that He intervenes in the material world. And Laplace’s point was not, fundamentally, philosophical or theological, but scientific. The planets do not move round the Sun in circular orbits, but in elliptical pathways, moving fastest when closest. All this and more Newton had explained using his laws of motion, combined with his inverse square law for gravitational attraction. There is one small problem, however. The planets are attracted, not only to the Sun, but to each other, perturbing each other’s pathways away from a perfect ellipse. These perturbations are not trivial, and in fact it was the perturbation of the orbit of Uranus that would lead to the discovery of Neptune. Newton himself surmised that they could, eventually, render the entire system unstable so that God would need, from time to time, to intervene and correct it. Laplace devoted much of his career to developing the mathematical tools for estimating the size of the perturbations, and concluded that the Solar System was in fact stable. So Newton’s hypothesis of divine intervention was redundant, and it was this hypothesis that Laplace was supposedly referring to. There is an irony here. Laplace’s calculation that the solar system is stable is true only in the short term, (say a few tens or hundreds of millions of years). In the long enough term, the situation is much more uncertain. As Henri Poincaré was to show a century later, a system of three or more gravitationally interacting bodies is potentially chaotic. Under certain circumstances, an initially minute difference in starting conditions can lead to an ever increasing divergence of outcomes, so that eventually planets can adopt highly elongated orbits, or even be thrown out of their solar systems altogether. Modern computer simulations show (see here and here) that the solar system is indeed chaotic, that Mercury is vulnerable to extreme change or even ejection from the Solar System, and that it is possible that in some 3.5 billion years Mercury’s instability could be transferred to the other inner planets, including Earth, leading to the possibility of collision. Science, some say, rejects supernatural explanations on principle; this is called intrinsic methodological naturalism (IMN). In Part I I argued, following the work of Boudry et al. (here, here , and here), that this strategy is misguided. Here I go into more detail, using this example, and other past and present controversies, to illustrate the point. I don’t think that Laplace was claiming that God didn’t exist. It is just that He doesn’t intervene, to break the laws of Science. That must be the position of every scientist. A scientific law is not a scientific law if it only holds when some supernatural being decides to let things run, and not intervene. Perhaps we ought to add to the menu of Saganic demonology, just after spoon-bending, ten-second seat-of-the-pants explanations of social realities. We take the side of science … because we have a prior commitment, a commitment to materialism. It is not that the methods and institutions of science somehow compel us to accept a material explanation of the phenomenal world, but, on the contrary, that we are forced by our a priori adherence to material causes to create an apparatus of investigation and a set of concepts that produce material explanations, no matter how counter-intuitive, no matter how mystifying to the uninitiated. Moreover, that materialism is absolute, for we cannot allow a Divine Foot in the door. … To appeal to an omnipotent deity is to allow that at any moment the regularities of nature may be ruptured, that miracles may happen. The first paragraph is one that I can accept and advocate in its entirety. We reject supernatural causes in the same way that we reject implausible material explanations, because the evidence tells us that they don’t exist. The second, intertwined with observations that I have had to omit for brevity regarding the tenuousness of the pretensions of science and what he calls the patent absurdity of some of its constructs, is of a very different kind. Science, he says, is committed in principle to material causes, and the reason for doing so is, again, to exclude divine intervention. Leave aside for now the problem of defining “materialism”; at a time when our concept of the material includes dark energy, particle entanglement, and quantum fluctuations in nothingness of which our entire Universe may be but one example, this is much the same as the problem of defining “naturalism” that I mentioned in Part I. Leave aside also the deliberately provocative antireligious language, inconvenient though that be for coalition builders. After all, Lewontin has, and is entitled to, his own agenda here. Leave aside even the possibility that miracles need not disrupt the normal business of science, as long as they are sufficiently rare. Hawking has followed Lewontin into the trap that awaits all those who would legislate the metaphysical out of existence. They lay themselves open to the charge that they are, themselves, arbitrarily introducing yet another metaphysical rule. This is very bad. We slide from an innocent-seeming description of the domain of science as the “natural” world, through the uncontroversial idea of testing explanations against each other, to the non sequitur of the sentence I have highlighted. There is an illusion of logic, based on an assumed dichotomy between the natural and the supernatural, but this is mere wordplay. We are given no other reason for this leap, even though it could have been justified, as Hawking and Lewontin justify their own exclusion of the supernatural, by reference to the assumption of regularity. As we saw in Part I, the claim that “science is precluded from making statements about supernatural forces” is simply untrue. Time and again, science has refuted the appeal to the supernatural by providing alternatives – if this is not “making statements about supernatural forces”, what is? Present-day science does indeed make statements highly relevant to the existence or otherwise of supernatural forces. To raise the stakes to their utmost, some consider the Universe to be fine tuned for life, and regard this as scientific evidence for a purposeful Creator. Others regard this as yet another argument from ignorance, since it may well be that the Universe is not really all that special, or that there are as yet unknown constraints of some kind on the relevant physical constants, or that quantum fluctuations will generate such a superabundance of Universes that some, statistically, are bound to have the required properties. While it may be premature to test these suggestions, they are part of a clearly scientific agenda. The suggested causes would be “natural.” by any standards, but if established would have the effect of making the appeal to a supernatural Creator unnecessary. Science would then have made a clear statement about the purported supernatural force responsible for fine tuning, exactly as it did about the purported supernatural force responsible for the stability of the Solar System, namely that there was, in Lavoisier’s words, no need for that hypothesis. Two other examples spring to mind. First, the argument from Intelligent Design as applied to the mammalian eye. This fails, because the mammalian eye is in one crucial detail very poorly designed. The nerve endings, and the blood supply, run in front of, rather than behind, the photosensors, partly occluding them and giving rise to each eye’s blind spot. It does not have to be that way, since the octopus eye is built the right way round. At this point, the defender of design has two options. He can admit defeat, or at least accept that the Designer’s options are restricted by our evolutionary history. So in this case the argument from design is refuted or, at any rate, enfeebled. Or he can argue, as Behe does in Darwin’s Black Box, that the refutation fails because we do not know the Designer’s full intent. At this point, we lose interest because the argument from design has become so well immunized against observation, to borrow a term from Maarten Boudry’s PhD thesis Here be Dragons, that it has ceased to be science. In neither case have we referred to the supernatural nature of the argument as the reason for dismissing it. Secondly, there is a version of theistic evolution in which the Creator intervenes at the level of quantum mechanical indeterminacy to set in course one mutation rather than another, and used this to ensure the evolution of intelligent humans. I first heard this suggestion from Alvin Plantinga, and if I understand Ken Miller’s Finding Darwin’s God correctly I think that on this topic, for once, he and Plantinga would agree. Certainly there is nothing here that violates the laws of physics and chemistry, since the chance breakdown of one single radioactive atom at one moment rather than the next may well disrupt a growing chain of DNA, and a single mutation may well have far-reaching consequences. Were such a mutation to have happened under the Creator’s guidance, that would be supernatural causation par excellence. I would argue against this on the grounds that there is little or no evidence of a bias towards beneficial mutations, and that since intelligence has emerged independently in cephalopods, cetaceans, parrots, velociraptors (if cerebral capacity is anything to go by), and simians, the emergence of such little intelligence as we have requires no special explanation. Now you may regard my argument as mistaken, banal, or ill-informed, but I do not see how you can describe it as outside the domain of science. Thus we do, as I just did, use scientific reasoning to discuss the claims of supernaturalists, so IMN is untrue. It was untrue in the 18th century when science explored solar system stability; it was untrue in the 19th when natural selection rendered Paley’s watchmaker redundant; it was untrue in the 20th when claims of extrasensory perception were scientifically examined and found wanting; and it is untrue in the present century as we prepare to grapple with such problems as the origin of our Universe and its appearance of being fine-tuned for the emergence of life. To propagating IMN is to propagate a falsehood. One of the key questions posed by the world around us is whether we are here by chance or by design. There is a strident strain of science which insists that all the design in the world is apparent, not real, and that natural selection acting on random mutations is sufficient to explain it all. That kind of science is derived from a view that the only explanations which are acceptable are those which depend purely on physical or materialist processes. That is not a scientific finding that is derived from the evidence. It is, in fact a philosophical position, and a biased one at that, which is brought to the actual evidence. It excludes other types of explanation which the evidence may merit. Here the claim that mainstream science excludes design-based explanations a priori is used to bolster the common creationist tactic of misrepresenting the outcomes of its investigations, including evolution, as inputs. Going further downmarket, we come to the creationist claims that evolution science is a religion like any other, or that evolution and creationism differ only in their starting assumptions, and as long as the scientific community itself presents the rejection of the supernatural as an input rather than an output, we have scant grounds for complaint against such vulgarizations. Why do we persist in exposing ourselves in this way? Boudry and colleagues (2010) suggest several reasons. One of these we have already demolished; the claim that IMN is built in to the definition of science. There is a large literature (see e.g. here) on how and indeed if science should be defined, and I have nothing to add to this, beyond reminding readers that “supernatural” is itself difficult to define, and repeating my earlier point that insisting on IMN would exclude much activity that we generally consider scientific. A second, mentioned by both Hawking and Lewontin in the essays I quoted, is that it would undermine the assumption of regularity that underpins science. Miracles such as those claimed for Jesus would indeed undermine that assumption, but only in rare and very special cases; so rare and special that they can hardly constitute a serious threat to our business. Our faith in the regularity of nature derives from our having lived and evolved in a world where it holds good, not from some special rule about the nature of science. It is confirmed, over huge reaches of space and time, by observation. We can interpret the spectra of galaxies whose light has taken 12 billion years to reach us, and the suggestion (since subjected to highly critical scrutiny) that the constants of physics might have changed even in the fourth decimal place was enough to arouse the interest of The Economist. From constancy to change. On current thinking, the early Universe underwent a period of rapid inflation, in which space expanded at such a rate that the distance between points initially close together grew at a rate faster than the speed of light. Thus during this expansionary stage the laws of nature were very different from what they are today. And the state of the Universe before this stage may be to us in principle unknowable. All the conclusions of the last two paragraphs may be subject to revision. But this very fact reinforces my claim, that our faith in the constancy of nature is testable by science, and that science can (and currently does) tell us that the domain of this faith is wide, but not unlimited. Thus it is as much an outcome of our experience as a methodological input. A third argument for IMN is that in its absence the possibility of invoking supernatural explanations may discourage the search for natural ones. This is a purely pragmatic argument, and I cannot imagine it having any real effect. Those who prefer supernatural explanations invoke them anyway. Millions of Americans believe humans to have arisen through a special supernatural act, but this is not for lack of a naturalistic explanation. Intelligent Design creationists argue that undirected evolution cannot possibly generate new information, or that protein sequences are too improbable to have arisen naturally. Young Earth creationists, a separate group (although in the UK the two groups strongly overlap) point to anomalies in radiometric dating, or to polonium halos in rocks that did not contain polonium’s ultimate parent, uranium, and claim that these somehow cause the naturalistic account of earth’s geological history to unravel. This they do because of their prior commitment to mystification. Debunking their nonsense is a proper matter for science, and the talkorigins website has a very useful page listing numerous such claims and their rebuttals although experience shows that mere refutation will not stop their proponents from repeating them. And there are important unsolved problems, such as the origin of life, which some claim as evidence for supernatural intervention, but I do not think that any scientist interested in the topic would be so easily fobbed off. In any case, defining their activities as unscientific would not make the supernaturalists disappear. On the contrary; they would (and do; see above) triumphantly hail such definitions as proof that we impose arbitrary limitations on our science. There are more technical arguments, which boil down to the untestability of supernatural explanations. But we already have the rule that science deals with the (in principle) testable, so that there is no need to invoke IMN. And finally there is the argument from legal expediency, which I maintain is both unnecessary and two-edged. Unnecessary. Judge Jones famously ruled in Kitzmiller vs Dover School District that Intelligent Design (ID) is not science, but a form of religiously motivated creationism, thus barring it from publicly funded schools in the US. What is primary here is the ruling that is religion; the finding that it is not science is secondary. The ID argument from the design of the eye is not science, because it is immunized against scientific examination. But the ID argument from the irreducible complexity of the bacterial flagellum is science. Just hopelessly wrong science, as shown by the piles of scientific documents produced in court, and the persistence in this wrongheadedness was also accepted as evidence that ID’s agenda is religious. The distinction, if there is one, between bad science and not science was immaterial. Double edged. There is a real cost to the ruling that ID is religion, and schools in the UK are paying that cost right now. 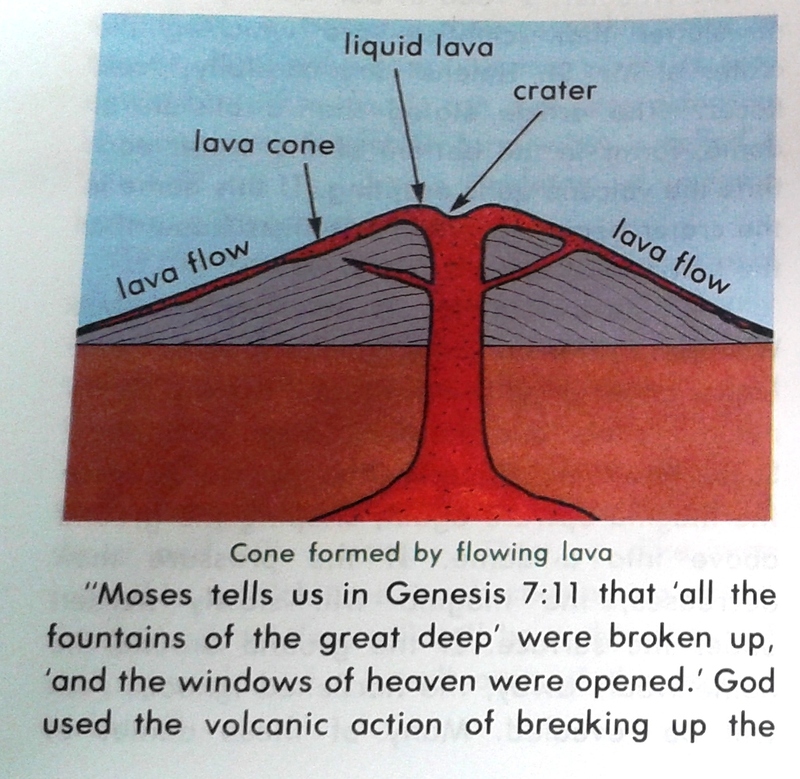 While ID is officially shut out of the science lab, at least in state funded schools in England (the situation in Scotland is less clear), it is in the process of infiltrating itself into the Religious Education classroom, by way of such materials as The God Question, and RE teachers will be less able (and in some cases less willing) than their Science colleagues to dispose of its pretensions. In short, IMN is untrue and carries a heavy rhetorical cost to science. But everything that can be accomplished by including IMN in our definition of science and then appealing to that definition as criterion, can be accomplished on its own merits by less circuitous means. So let’s cut out the middleman. We are so far from knowing all the agents of nature and their diverse modes of action that it would not be philosophical to deny phenomena solely because they are inexplicable in the actual state of our knowledge. But we ought to examine them with an attention all the more scrupulous as it appears more difficult to admit them, and it is here that the calculation of probabilities becomes indispensable, to decide to what point one must multiply observations or experiments, in order to obtain for the agents that they indicate a probability that outweighs the reasons we would otherwise have against admitting them. 1] Capital letters for Creator and Designer because I do not wish to collude in the polite fiction that the Intelligent Design programme is anything other than an argument for the existence of God. Separate technical questions have been raised about the validity of the statistical argument from fine-tuning, but these do not affect my argument. 3] Consider the mutation that made Queen Victoria, grandmother of the last Tsarevich, a carrier of haemophilia, and what difference this might have made to Russian history. 4] For some believers, the Mass might be a counter-example. But since the claimed miraculous trans-substantiation changes no accidental (i.e. observable) properties, it is irrelevant to science. 5] Alternating mutation and selection can and demonstrably does generate new information, protein sequences have considerable flexibility and do not arise in a single step, polonium halos in uranium-free rocks can be traced to the diffusion of radon, dating anomalies are exceptional and indeed informative, since they can be traced to heating episodes and other post-depositional events, and so on. 6] Since there is an excellent scientific, indeed Darwinian, explanation in terms of exaptation. Although if this is excluded by moving the goalposts, a typical ID ploy, perhaps we have again moved into the domain of non-science. Below, the first draft of a petition being submitted to the Scottish Parliament. For background on the petition process and the role of the faith-neutral Scottish Secular Society, petitioners, see here. For examples of some of the extraordinary events that make this petition necessary, see here, here, here, and here. For samples of the kind of thing that makes all this necessary, see here and here. Petition: to bar the teaching in Scottish publicly funded schools of separate creation and of Young Earth doctrines as viable alternatives to the established science of evolution, common descent, and deep time. We petition the Scottish Parliament to instruct the Education Secretary to issue guidance to schools and colleges to prevent the teaching of creationism and related doctrines as viable alternatives to established science. Nothing in this request precludes the discussion of such doctrines in their proper place, as part of the study of ideas, neither does it nor can it infringe on individual freedom of belief. For purposes of clarification, we respectfully offer provisional draft language that would meet the case. The most remarkable thing about this petition is that it is necessary. Evolution, meaning the common descent of living things and their change over time is, and has been for generations, the unifying concept of the life sciences, and is so recognised by all major scientific Academies and by repeated references in the Curriculum for Excellence. The deep time necessary for this evolution had been recognised by Scottish geologists over a century earlier. There is wide agreement that Scotland’s future prosperity depends on science-based industry, based in turn on our strong tradition of research, especially biomedical research. Yet over the past few decades, this established science has come under attack, inspired by the importation from the US of the doctrines known as creation science, flood geology, and Intelligent Design. These maintain, respectively, that scientific findings should be judged according to their compatibility with biblical literalism, that the entire geological record is the product of a world-wide flood and other events within the past few thousand years, and that the repeated operation of mutation and selection is incapable of generating new significant information. Such doctrines require the wholesale rejection of modern cosmology, geology, planetary science, and biology along with much of present-day physics and chemistry. Nonetheless, we know that they are being presented in schools as viable alternatives to these established sciences. For many years, voices within the educational community have been asking the Scottish Government for guidance on how to deal with these threats. In reply, the official answer, from Government ministers and from the SQA, has always been that such matters can safely be left to the judgment of individual teachers and school Heads. This, unfortunately, is just not true. 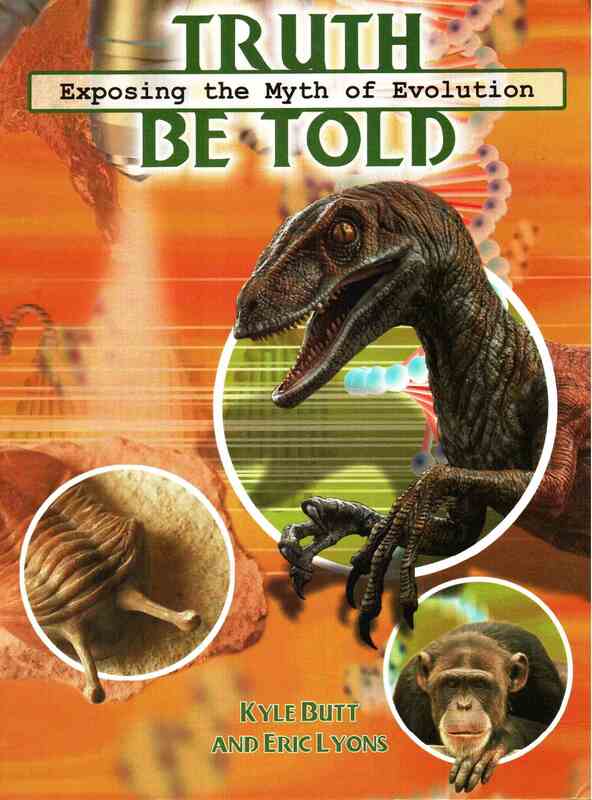 There have been numerous incidents of pupils being taught creationist doctrine as fact, the most egregious being the events at Kirktonholme where the entire school assembly was given books stating that evolution is a lie promulgated by those who hate God to justify their own wickedness, and that dinosaurs coexisted with humans and may even have been used as beasts of burden. Representatives of openly creationist churches sit as unelected church nominees on Local Authority education committees, many school chaplains belong to creationist churches (this was true not only of the chaplain unmasked at Kirktonholme, but of his successor), and it is customary for schools to have many-membered chaplaincy teams on which creationist churches are represented. There are even anecdotal reports of school science teachers negotiating (!) with their colleagues in religious Education to ensure that creationism is not taught as true doctrine. Thus there is no doubt that guidance we seek is necessary. Moreover, as long ago as 2010, such guidance was requested by the teachers themselves through their representatives in EIS and Association of Secondary Teachers. Events since then only underline the wisdom of responding to these requests. Pupils must be taught about evolution as firmly based science, and not presented with ‘creationism’ as scientific fact or as a valid alternative to evolution. ‘Creationism’ here means any doctrine or theory which holds that natural biological processes cannot account for the history, diversity, and complexity of life on earth and therefore rejects the scientific theory of evolution. Pupils should also be taught about the age of the Earth on the basis of established science, and not presented with Young Earth scenarios as credible alternatives. This guidance is not intended to inhibit discussion of beliefs about the origins of the Earth and living things, such as creationism, in Religious Education and other cultural studies, as long as they are not presented as valid alternatives to established science. Ann Ballinger, of the Scottish Secondary Teachers’ Association, urged ministers here to clarify the situation, while the EIS union said authorities should ensure teachers knew their position regarding intelligent design in the classroom. We note your comments about explicit guidance on the teaching of creationism and Intelligent Design (ID). There is no evidence from HMIE school inspections or other sources to suggest that creationism or ID is currently being taught in schools in Scotland…. It is expected that most teachers would be prepared to respond positively to creationist theory questions raised by pupils, and to lead any further discussion. We ask that you declare immediately that creationism and intelligent design are specifically excluded from the educational setting outside of RME classes, and that appropriate action including formal guidance is issued to all schools to underpin your statement. What is taught is at the discretion of the school or the head teacher based on the eight areas within Curriculum for Excellence. I have no doubt that all teachers have the capacity and wherewithal to intelligently answer questions from young people about creation. Thus all possible attempts to obtain the necessary guidance, either from the SQA or from the responsible Ministers, have been made and have produced no result. Creationism here means the separate creation of different living kinds. No objection is being raised to discussion of the overall belief in God as the ultimate creator. Similarly, by Intelligent Design we mean the oft-refuted claim that natural processes cannot generate the kind of new information required for evolution. This claim should be distinguished from the respectable philosophical position that sees the operation of the Universe as a whole as the working of Providence. The latest guidance from England’s Department for Education requires the teaching of evolution as part of a balanced curriculum in all publicly funded schools, bars the teaching of creationism as a viable alternative in any classroom, and extends these regulations to all new and existing Free Schools and Academies. The Scottish Education Department should follow this example. We at the Scottish Secular Society are putting together a parliamentary petition asking for this. I am asking for your support, especially if you live in Scotland, and will be posting updates on our progress. that the requirement on every academy and free school to provide a broad and balanced curriculum, in any case prevents the teaching of creationism as evidence based theory in any academy or free school. The Secretary of State acknowledges that [the relevant funding agreement clauses] do not prevent discussion of beliefs about the origins of the Earth and living things, such as creationism, in Religious Education, as long as it is not presented as a valid alternative to established scientific theory [emphasis added]. This wording does not restrict discussion of the theological arguments that some continue to put forward for creationism, a discussion that in some Scottish schools would be very necessary, but makes it clear that it is “not [to be] presented as a valid alternative” on any grounds whatsoever. Admirable language. The Scottish education system is completely different. There are no equivalents of the English Free Schools and Academies, and although there are recognized denominational schools, these are overwhelmingly Catholic and, as such, accepting of evolution. Education is under the control of the Scottish Parliament in Edinburgh. The Education Secretary for many years has been Mike Russell. He belongs to the Episcopalian Church, part of the Anglican Community which has long since made its peace with evolution, and even apologized to Darwin for past harsh treatment. Despite all this, in response to letters and to questioning in the Scottish parliament, he has consistently taken the view that no explicit guidance on creationism is necessary, on the grounds that there is no problem in Scotland, and that the entire issue can be left to the good sense of the teachers in each school. I doubt if such a position was ever tenable, but it is certainly not so now. Within the past twelve months, we have had the scandal at Kirktonholme, where pupils were given out Young Earth creationist materials in assembly (complete with tame dinosaurs pulling carts), an evangelical group that displays materials from Answers in Genesis offering Religious Education materials “within the framework of the curriculum for excellence“, and the discovery that many schools have creationist chaplains, and/or chaplaincy teams with representatives of churches committed to creationism, and Young Earth creationism at that. Moreover, every Local Authority Education Committee in Scotland must by law include as full voting members representatives of three religious groups, Catholic, Church of Scotland, and one other, and this other is in numerous documented cases a group committed to creationism. In these circumstances, teachers may very well feel the need for official protection when teaching scientific reality. Indeed the Herald reported that the EIS teachers’ union, and Ann Ballinger, of the Scottish Secondary Teachers’ Association, asked for this when, nearly four years ago, Glasgow’s neo-creationist Centre for Intelligent Design opened its doors, but their requests were simply ignored. Given this situation, the Scottish Secular Society (SSS) has decided to invite all those interested in protecting our schools from creationist infiltration, to join it in petitioning the Scottish Parliament to issue clear statutory guidance building on existing references to evolution and making it clear that creationism must not be presented anywhere within the publicly funded Scottish school system as a viable alternative. We plan to have a draft petition submitted to the parliament within days. A note on the Scottish petition system, and on the role of SSS: SSS is a secularist, but not a humanist or atheist organization. Meaning, that it is opposed to religious privilege and presumption in the political sphere, regarding belief or unbelief as a matter of individual conscience, and therefore to be protected. It is neutral in matters of faith, and has members of many different faiths and none. The Scottish petition system is vastly preferable to that at Westminster. The most a Westminster petition will get you from your political masters is a half hour debate, often (as in one famous recent case) shamefully ill attended, and with no formal motion discussed. A Scottish petition such as this will be officially posted for comment and discussion, and given the level of interest in the subject there is little doubt that it will be placed on the formal agenda of the Committee that exists for that purpose. At that stage further public comment will be requested, the Committee itself may directly approach interested parties (including the Government itself) for their views, which will also be posted for public comment, and the petitioners will be invited to give evidence in person. A petition such as the one we are now preparing will almost certainly end up being referred to the Education and Culture Committee, leading to a further round of discussion and, to judge from precedent, extensive newspaper and other debate, bringing the entire issue into the public domain and laying the ground for further discussion among opinion- and policy-makers even if no further official action is taken. So we have the power to make things happen. Let’s start now. Disclosure: I am on the Board of the Scottish Secular Society. In full, the new Church Academy clauses state that: 23E) The parties acknowledge that clauses 2.43 and 2.44 of the Funding Agreement [which preclude the teaching of pseudoscience and require the teaching of evolution] apply to all academies. They explicitly require that pupils are taught about the theory of evolution, and prevent academy trusts from teaching ‘creationism’ as scientific fact. 23F) ‘Creationism’, for the purposes of clauses 2.43 and 2.44 of the Funding Agreement and clause 23E above, is any doctrine or theory which holds that natural biological processes cannot account for the history, diversity, and complexity of life on earth and therefore rejects the scientific theory of evolution. The parties acknowledge that Creationism, in this sense, is rejected by most mainstream Churches and religious traditions, including the major providers of state funded schools such as the [Anglican] [Catholic] Churches, as well as the scientific community. It does not accord with the scientific consensus or the very large body of established scientific evidence; nor does it accurately and consistently employ the scientific method, and as such it should not be presented to pupils at the Academy as a scientific theory. 23G) The parties recognise that the teaching of creationism is not part of prevailing practice in the English education system, but acknowledge that it is however important that all schools are clear about what is expected in terms of the curriculum which they need to provide. 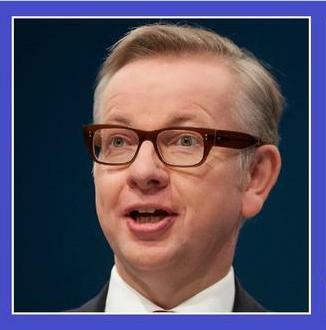 The parties further recognise that the requirement on every academy and free school to provide a broad and balanced curriculum, in any case prevents the teaching of creationism as evidence based theory in any academy or free school. 23H) The Secretary of State acknowledges that clauses 2.43 and 2.44 of the Funding Agreement, and clauses 23E and 23G above do not prevent discussion of beliefs about the origins of the Earth and living things, such as creationism, in Religious Education, as long as it is not presented as a valid alternative to established scientific theory. “Evolution is a theory”, said BBC pundit Jeremy Paxman last night to Alice Roberts, and when Prof Roberts tried to explain that it was only a theory like the motion of the Earth is a theory, he interrupted her to say that the motion of the Earth is an empirical fact. Well, as Prof Roberts was finally allowed to say, evolution is also an empirical fact. So for facts’ sake, let’s stop calling it a theory. I’ve said this before and I’ll say it again. There’s a war on between those who want to preserve our scientific heritage, and those who dismiss it as “materialism” and want to replace it with a view that they themselves call theocentric. These enemies of enlightenment are not stupid or wicked. They understandably want to preserve our reverence for human uniqueness, and misguidedly imagine that the only way to do this is to deny the indelible stamp of our lowly origin. For this reason, they will go to great lengths to misunderstand the science that tells us our real place in Nature, and to call the fact of evolution a “theory” is to invite just such willful misunderstanding. In common language a theory always involves speculation and uncertainty. In academic discourse, it means a coherent set of ideas that explain the facts. Calling something a theory in this sense tells you nothing at all about how certain it is. A theory can be wrong (phlogiston theory), known to be approximate from the outset (ideal gas theory), very close to the truth but since improved on (Newton’s theory of planetary motions), or as certain as human knowledge ever can be (number theory in mathematics). Of course you can explain all this, but you should not put yourself in such a vulnerable position in the first place. It wastes time in debate, or in the classroom. It puts you on the defensive, and thus, paradoxically, confers legitimacy on the attack. It allows the focus to shift from what we know about the world to the words we use to talk about it. This takes us away from science to the domain of the philosophers, lawyers, and expositors of Scripture who are fighting on behalf of Creationism. And so it distracts from what you should be talking about, namely the facts. Evolution, whether we mean changes in the genetic make-up of populations over time, or the common descent of living things on earth, is a fact. It is supported by, and explains, innumerable more specific facts concerning the fossil record, molecular phylogeny (the same kind of evidence that is used every day in DNA paternity tests), the frozen-in historical accidents of organs that have lost or changed their function, the distribution of species throughout space and time, and much more besides. Creationism cannot explain these, or any of the other facts of evolution science, except by appeal to the mysterious ways of the Creator. Nor should we ever say that we “believe in” evolution. Believing always carries with it the feeling that disbelief is an option. Some members of the jury believe the witness, others don’t. Some people believe that Hillary Clinton will be the next President of the United States, but no one would say they “believe” that Barak Obama is the current incumbent, because no sane person doubts it. I don’t “believe in” atoms, or gravity, or quantum mechanics, because I regard them as established beyond dispute, although our notions about them will no doubt continue to change as we learn more. And exactly the same is true of evolution. Should we ever refer to the “theory” of evolution? Yes, but not when we mean the fact that evolution occurs. There is a theory of evolution, but it is not what Jeremy Paxton seems to imagine it is. Genetic change and common descent are known facts, as well established from the fossil and molecular records as the order of England’s kings and queens is from the historical records. Mutation is a fact. There are theories (interlocking sets of ideas) about just how evolution happens. Natural selection operating on existing variation is a theory, so is neutral drift, so is punctuated equilibrium, and all of these are subsumed into the present-day theory of population genetics, the foundations of which were set in place in the 1920s, before we even knew the nature of the genetic material. All this and more goes to make up the modern theory of evolution. So yes, there is a theory of evolution, but in the same way that there is a theory of chemical bonding. It is a theory about how it happens, not if. To take an analogy from chemistry, the quantum mechanical theory of bonding is about how atoms stick together to make molecules, not if. If someone were to deny that matter is in fact made out of atoms sticking together, we would regard them as ignorant, or perverse, or strangely misled, and the same is true of anyone who denies that we share a common ancestor with chimpanzees and bonobos. Does it matter? Yes, it matters enormously. Creationists often maintain that evolution and Creation are both beliefs, whose respective advocates differ, not about observable facts, but about how those facts are to be interpreted. And they contrast evolution, as “only” a theory, with facts or even with scientific laws, in order to claim that it is far from certain and that views refuted over a century ago still deserve a hearing. Part of this post appeared earlier this year, here, but Paxton’s tactics give it new context and relevance, and my suggestion about when we should refer to the “theory” of evolution is as far as I know completely new. 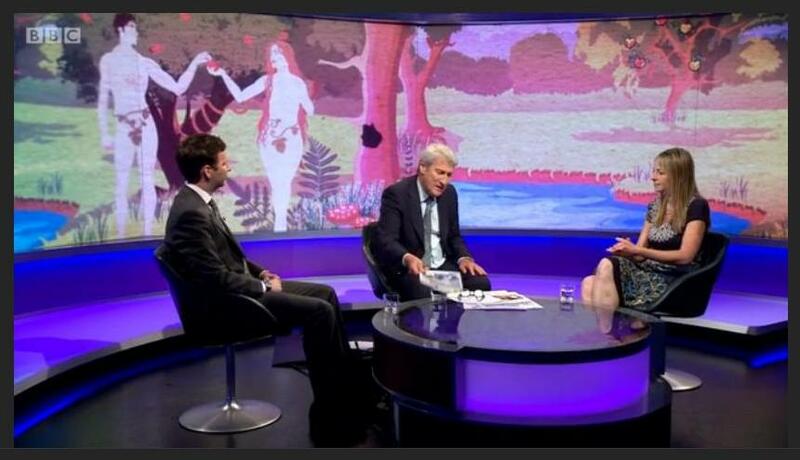 Newsnight, 16 June 2014; the sector on the teaching of evolution starts 29 minutes into the programme. Actually, he spoke of its roundness, but let that pass. Pupils’ spiritual development is promoted outstandingly well. Christian beliefs and values permeate all aspects of school life. “In economics, politics, theology, and so forth, people take their personal position somewhere on the spectrum between the two extremes of the left and the right. They think, make decisions, and act based upon their position. Ofsted said it had previously not been authorised to assess the schools’ curriculums – only the quality of their teaching and leadership – but that under a “new tougher inspection regime” for independent schools introduced in April schools were now “expected to teach a broad and balanced curriculum”. Is this change going to help things? I doubt it. Ofsted may say they were not seeking to examine the curriculum at the time it last inspected Maranatha, but they did so anyway, describing it as “of good quality.” To be fair, the ACE curriculum only takes up a little more than half the school day, I have only focused on Maranatha because it happened to feature in the BBC story, and I have indirectly heard good things about Maranatha’s non-ACE activities. None of this, however, excuses it from espousing as its core activity a curriculum that presents creationist twaddle as real science, grants a monopoly of Christianity to a lunatic far-right fringe, and impugns the motives and credentials of generations of scholarly believers who seek to accommodate their understanding of Scripture to scientific reality, from John Ray in the 17th century through Darwin’s friend Asa Gray to Ken Miller, Francisco Ayala, and Francis Collins in our own day. As a commissioned report to ICCE, UK NARIC are therefore not in a position to disclose any detailed content without the client’s consent. However, given the level of interest in the ICCE awards by universities and employers, and with permission from ICCE, an information section on the ICCE qualifications and the ACE curricula has been included in UK NARIC’s International Comparisons database, which may be accessed by registered users. Our curriculum does point to God as the creator; this is a view we are entitled to hold as there is enough robust debate around the question of evolution/creation within the scientific community itself to make this a valid decision, based on personal choice. Note the multiple confusions between the scientifically neutral idea of God as creator, the existence of robust debate among evolutionary scientists, and the specific claim of anti-scientific creationism. CEE go on to justify this claim by linking to the writings of one Jonathan Sarfati, a Ph.D. chemist who works with Creation Ministries International. The Sarfati material starts with a common misrepresentation of something written in 1929, so often repeated by creationists that I discussed here a few months ago, and goes downhill from there. For my fellow chemists: Sarfati has published on tetraphosphorus tetraselenide. I have published on tetrasulphur tetranitride. Obviously, our paths were meant to cross. Science, it is often said, is restricted in principle to the search for natural causes. Is this a fundamental rule for doing science? Or merely a useful procedural guide, derived from experience? Is it even true? Or meaningful? Does it matter? These questions are addressed in an important series of papers in 2010, 2012, and 2014, by Maarten Boudry at the University of Ghent and his colleagues. They conclude that it matters a great deal, that the alleged restriction does not in fact exist, and that appealing to such a principle in argument is harmful to the cause of science. I agree. I will deal with the first four questions in reverse order. Can we make a meaningful distinction between the natural and the supernatural? I was initially inclined to say no. If something occurs, it’s part of nature. It is a law of nature that water doesn’t turn into wine, but if you believe that the miracle of the wedding feast of Cana really happened, then you need to modify the law to say “Water doesn’t turn into wine, except when Jesus tells it to.” Maarten persuaded me that this was not a helpful line to take. Like all attempts to define a problem out of existence, it is logically unassailable, but useless. It denies us access to the very distinction that we should be clarifying. The question, however, is more difficult than it seems. After all, we do not know everything that there is to be known about nature. We readily apply the label “supernatural” to purported phenomena such as telekinesis or telepathy, in which mind is regarded as operating on matter or on other minds without material agency, but we do not have a satisfactory account of mind-matter relationships anyway. Other prime candidates for supernatural status, such as precognition and remote viewing, would if real involve transcending the usual space-time framework, but space and time are much less rigidly defined now than they seemed to be before Einstein. The limits of natural explanation have been extended in the past, by invoking action at a distance (gravity, then other forces), intrinsic randomness (quantum mechanics), and more recently particle entanglement (quantum mechanics again). Presumably they will be in the future, in ways yet undreamt of. So the fact that something cannot be explained by today’s science need not force us to invoke the supernatural. What would, then? Boudry and Taner Edis suggest a test for what they call unphysical causation, but it is highly technical, with their criterion based on demonstrated access to uncomputable numbers (I will not attempt to reproduce their argument). However, they suggest some examples. What, for instance, if Lourdes started producing undeniable miracles in large numbers, including the regrowth of amputated limbs, but only for devout Catholics? What if all organisms were found to contain an identical section of DNA, whose diffraction pattern spelt out the message “© Yahweh 4004 BC”? What, I might add, if we really did start receiving messages from the dead? Searching for messages is not a new idea. There are cottage industries within both Christianity and Islam, producing evidence that the authors of the Bible or the Qur’an are referring to scientific facts unknown by mere mortals when these books were first written. For instance, does the reference to the “circle of the Earth” in Isaiah 40:22 imply that the author knew that the Earth goes round the sun? Do the numerous biblical references to God stretching out the heavens show an awareness of the expanding universe? Mohammed is said to have “split the moon”; is this a reference to its formation by accretion? Few of us would find these examples convincing. Or, to take a much more sophisticated (and lucrative) example, what of the “Bible code” claim that computer searching of the Hebrew text according to certain counting rules reveals messages about post-biblical, including recent, history, placed there on purpose so that, when computers became available, we would be able to read these messages? The claim was taken seriously by enough people to put three successive volumes on the best-seller list. But that tells us nothing about its truth. This is testable, in at least two different ways, and fails both tests miserably. Firstly, is the text special? Test: take some other, undoubtedly secular, text, apply the same methodology, and see what happens. Many people have done this with remarkable results. My favourite is an analysis, by the geophysicist Dave Thomas, of the Amazon website excerpt from the third book in the series, from which he unearthed the messages that the Bible Code was a “vain hoax” and “megalomania”. Well, that’s English, not Hebrew, but Hebrew should be even easier since it is written with consonants only. Secondly, are the predictions correct? Take this example: Bible Code II predicted that Yasser Arafat would be shot by Hamas gunmen. In fact, he died of an infection, and Hamas had nothing to do with it. Again, the same book predicted Libya acquiring weapons of mass destruction; in fact, Libya renounced its plans in that direction, opening up a brief honeymoon between Gaddafi and the West. There were also predictions of an end-times nuclear war, and had any policy makers been paying attention to these (not inconceivable when millions of Americans await the Rapture) the consequences could have been serious indeed. Why have I spent so much time on this silly example? Because it gives the answer to all but one of my original five questions. Despite the problem of definition, we would all agree that if the Bible Code claims had been correct, they would have been evidence of supernatural agency. So yes, the distinction (Question 4) between natural and supernatural is meaningful. More importantly, this example shows that we do in fact investigate supernaturalist claims using the methods of science (Question 3; science is not restricted to the search for natural causes; so the initial assertion is not true). It follows at once that when occasion demands we cheerfully violate the purported restriction on how we do science, which therefore cannot be a fundamental rule (Question 1). It is only after the Bible Code claims have been convincingly shredded that we can decide that claims of this kind are not worth our time and trouble. It was only after exhaustive card-guessing experiments had failed to reveal any evidence for ESP (and after the published evidence for its reality was found to be faulty if not fraudulent) that people decided it was just not worth while continuing in that direction. It was only after spiritualists had repeatedly been exposed as fakes that scientists more or less stopped investigating them. For a while, even such distinguished scientists as Alfred Russel Wallace took their pretensions seriously. However, nowadays such investigations are undertaken more to unmask fraud and protect the public than in the hope of new discoveries. (In this endeavour, scientists have been joined by professional magicians, from Houdini to James “the amazing” Randi, illustrating to my mind the artificiality of separating off “science” from other kinds of factual enquiry.) Much the same, but with less emphasis on fraud, can be said about hunting for ghosts. In this century, there have been several studies of the effects of intercessory prayer on recovery from illness. No effect (or in one case, a small negative effect, tentatively attributed to the added stress of the situation), and a recommendation from Cochrane Reviews, which collate data from clinical trials, that no further work of this kind be undertaken. In each of these cases, the scientific search has been abandoned, not because of some overarching principle about the nature of science, but because plain experience showed it to be pointless. A priori rejection of the supernatural had nothing to do with these decisions, which were based purely on experience. Experience that would never have been attained if scientists really were debarred from submitting the supernatural to investigation. Science, as P. J. Medawar pointed out in his devastating critique of Koestler’s Act of Creation, is an extremely practical activity, and it is commonplace for lines of enquiry to be abandoned because they were getting nowhere (I can confirm this from bitter experience, as a sometime experimental chemist). Thus, as Boudry and colleagues remind us, the Royal Academy of Sciences in Paris decided in 1775 to have nothing more to do with proposals to build a perpetual motion machine. This was many years ahead of the development of the laws of thermodynamics, which tell us that such a machine is impossible, but so much effort had been spent to so little effect that the Academy decided no more was warranted. 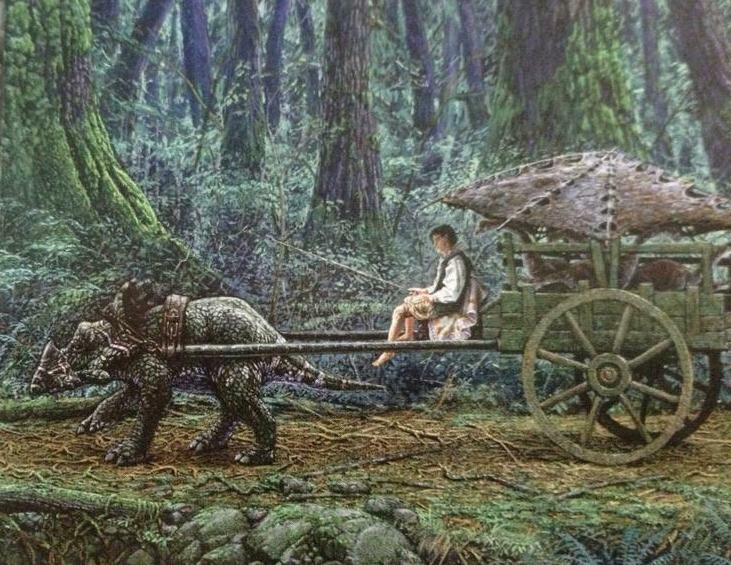 Not because (as we might now be tempted to say) such a machine would require a supernatural mechanism, but because they didn’t think there was any chance of it working. The suggestion made in Question 2 is correct, and can be extended beyond the supernatural to futile questions in general; when, as often happens, we turn aside from investigating this or that incredible claim, we do not do so on principle but because experience warns us that we would be wasting our time. Now for the final question, does it matter? Yes, obviously, as an intellectual question. Also, I think, from the point of view of the individual researcher. We all of us carry philosophical baggage, but scientists to my mind should do their best to travel light, so unnecessary principles should be deliberately discarded. But, most importantly, as part of the ever-necessary strategy of defending science from its enemies. As I shall argue in my next post, the principle that science is only allowed to look for natural causes is widely seen as a bastion against obscurantist encroachment. But this is a strategic error. It is an unnecessary and inaccurate metaphysical add-on to science, an easy target for its enemies, and should be abandoned. I thank Maarten Boudry for helpful suggestions. Illustrations: Book cover from Amazon; “Vain Hoax” from Dave Thomas at New Mexicans for Science and Reason here (see also here). An earlier version of this post appeared on 3 Quarks Daily. This discussion refers to Michael Drosnin’s Bible Code books, rather than to the original statistical puzzle posed by Eliyahu Rips, who has dissociated himself from them.